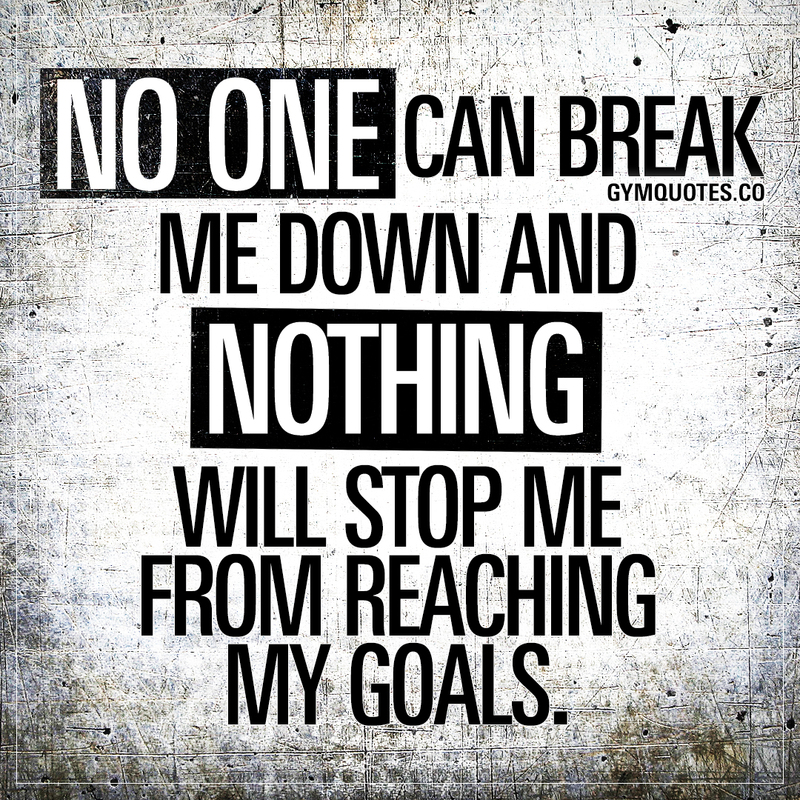 No one can break me down and nothing will stop me from reaching my goals. Don’t let anyone stand in your way of becoming the best that you can be. Avoid toxic and negative people and surround yourself with people who motivate you and help you push forward. And don’t let anything get in your way of reaching your goals. Period. Believe in yourself, train hard, work hard and you’ll get there. Join the gym quotes tribe TODAY and sign up to our newsletter!